Essential for comfort and safety, the electrical systems of your caravan should receive the same care and attention as the mechanics and appearance. We stock replacement and upgraded components for 12V and mains hook-ups, distribution and consumer units, fuse protection and charging systems. We also stock leisure batteries for all applications including the latest AGM deep discharge types for a long service life with no maintenance or risk of spills, and inverters to power household equipment away from the site. We even carry integrated USB charging sockets for your tablets and smartphones, keeping you entertained whilst saving space, energy and time. 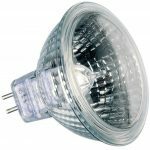 If your caravan or trailer uses fittings that cannot be upgraded to LED, or you prefer the warmth and consistency of traditional lighting, our range of bulbs covers most applications at a competitive price. Enhanced exterior lighting is only one of the benefits of LED lighting. Inside the caravan, you can change the mood and ambience with colour temperatures from warm white to daylight. 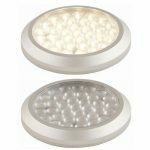 LEDs offer considerably greater light output for a lower wattage, and can both increase light and safe energy. Reduced heat output and current draw is also advantageous for safety. Low profile fittings can maximise the use of space with under-bed and storage lighting. Prolong the life of your battery with the latest smart chargers, capable of pulse-charging to aid recovery of failing cells and reduce sulfation, monitoring voltage and load for optimum charge times and maintenance so you’re always ready to go with a full charge. 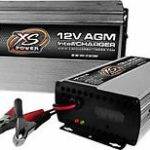 Suitable for many applications, including prolonging the life of your towing and leisure vehicles, with models suited to the latest AGM batteries. Keep your battery topped up without working your vehicle electrics too hard, and soak up the sun on summer tours with solar panels. 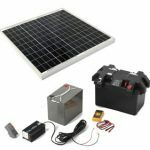 From compact desktop maintenance models to larger leisure designs capable of maintaining some devices whilst in use, solar charging is an environmentally and economical source of energy. 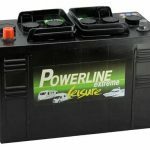 We stock premium batteries for multi-purpose caravanning applications. Our batteries are strong and durable, built to last and do everything you need them to. Stay connected with our range of electrical hook-up accessories including mains cables, adaptors and hook-up leads. 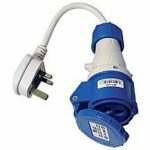 We also provide a range of adaptors including 12v plugs and sockets, consumer united and control panels along with Clipsal sockets and switches too. Enabling you to power your caravan and your electrical items helps improve comfort and provide entertainment whilst you stay in your caravan. Make sure you have everything you need to get connected on site.